Florida law allows you to claim an exemption on your primary residence which decreases the amount you pay in property taxes. The Florida Homestead Exemption for real property assessments is rooted in the Florida Constitution. Every person who owns and resides on real property in Florida on January 1st of each calendar year and makes the property his or her permanent residence is eligible to receive a homestead exemption up to $50,000. The first $25,000 applies to all property taxes, including school district taxes. The additional exemption up to $25,000, applies to the assessed value between $50,000 and $75,000 and only to non-school taxes. To qualify for the homestead exemption, one must be a permanent Florida resident, and the property must be his or primary place of residence. It is important to note that a second home or investment property cannot receive the homestead exemption. When someone is receiving an exemption to which he or she is not entitled, the consequences can be severe. If you are in violation, you can owe thousands of dollars in back taxes, penalties and interest regardless of whether you are “receiving or claiming” another state’s exemption or credit knowingly and willfully, or purely by your own mistake. Pursuant to Florida Statute, 196.161, the Property Appraiser may lien for unpaid taxes during the current year and any year within the prior ten years that the Property Appraiser determines the Homestead Exemption was not entitled. The taxpayer’s property will be liened for each disallowed year the actual tax that would have been paid without the Homestead Exemption (less credit for the tax paid), a penalty of 50% of the tax due, and interest at 15% per annum. The process under the statute provides for the Property Appraiser to send a thirty-day Notice of Intent to Lien to the property owner. If the lien amount is not satisfied within the 30 days, the Property Appraiser will record a Notice of Lien in the public record. If the property has been sold, the Property Appraiser can lien the taxpayer’s other property in that county or any other Florida county in which the taxpayer owns property. Note that no hearing is required before the Notice of Lien is filed. Even if you have not received a notice yet, you still could receive one in the near term, and having knowledge of this fact may better position you to address such a notice if and when it comes. 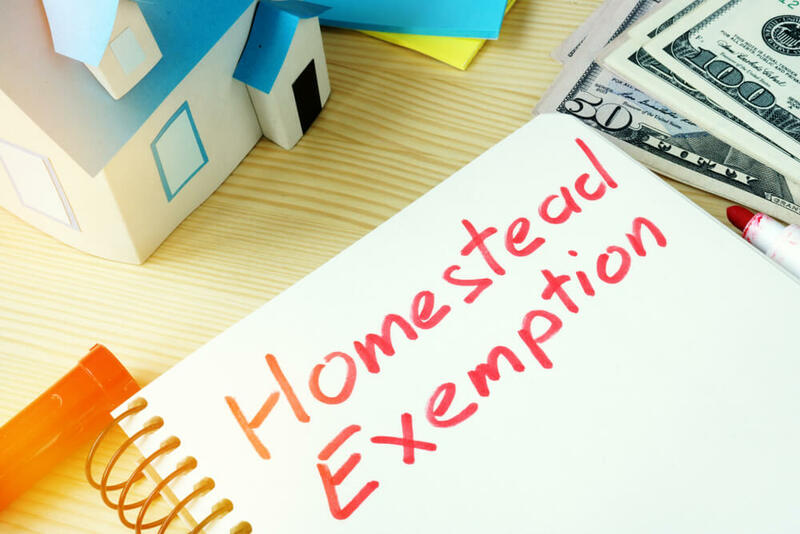 If you need assistance applying for your Homestead Exemption, your Homestead Exemption application was denied or you are facing penalties concerning your Homestead Exemption, you might want to talk to an attorney for assistance.